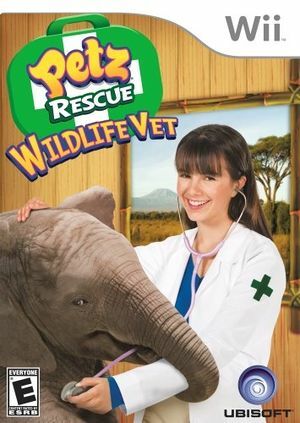 Play as a young vet, who has just opened their first animal clinic in Petz Rescue: Wildlife Vet. Take care of your neighbors' domesticated pets, as well as the local exotic baby animals. Diagnose, cure, observe and heal the animals to gain your clients' confidence and respect. Uncover the mystery behind the animals' illnesses. Investigate to find out if the local factory could be polluting the rivers and thus be causing the animals' diseases. Face real challenges on the journey to becoming a great veterinarian, and possibly join one of the world's most prestigious NGOs. The graph below charts the compatibility with Petz Rescue: Wildlife Vet since Dolphin's 2.0 release, listing revisions only where a compatibility change occurred. This page was last edited on 13 January 2018, at 08:08.